At Signal 88 of York, we know the ins and outs of industrial security like no one else. Whether you’re operating a warehouse, a manufacturing center, chemical processing facilities, power plant, or another kind of industrial property, it’s crucial that you’re shielded from criminal threats. Effective industrial security in York and its surrounding communities depends on the nine factors listed below. Industry Threats. How well do you know the biggest security threats to your industry? Every industry has targets and vulnerabilities that distinguish it from others. It’s important that you not only understand the threats to your sector, but have planned for how to thwart them. Local Threats. As with any other area, York is home to a unique mix of geographic, demographic, and economic factors that increase certain types of criminal activity. Your security provider should be fully familiar with and equipped to handle these threats. Site Assessment. Every inch of your property should be carefully inspected and assessed for security vulnerabilities. Make sure this assessment is performed by an individual or team with the expertise to identify weak points that don’t call attention to themselves. Perimeter Protection. Perimeter security is your best physical line of defense when it comes to industrial security in York, PA. You should be fully confident that your property and facilities are adequately secured from burglars, trespassers, and other unwanted elements. Access Management. Modern industrial facilities require rigorous access control, along with systems for tracking workers, delivery persons, contractors, and guests. A truly effective system will combine personnel at key access points with magnetic card readers for all major access points. CCTV Surveillance. CCTV systems aren’t the budget-friendly security miracle that some manufacturers position them as. They are, however, an indispensable part of a wider security system. They’re also vital for investigations and insurance claims in the event of criminal activity. Alarm Systems. Today’s alarm systems have come a long way from those of the past. Like CCTV cameras, a standard alarm system isn’t a catch-all solution. Instead, think of it as a tool that empowers a quick and effective response to any security breach. Criminal Deterrence. Onsite security personnel are the best visual deterrent against criminal activity. Because industrial facilities tend to take up large footprints, mobile patrol security plays an essential role in deterrence. Mobile patrols are performed using highly visible vehicles, cover ground much more effectively than foot patrols, and reduce the costs of security services. Rapid Response. 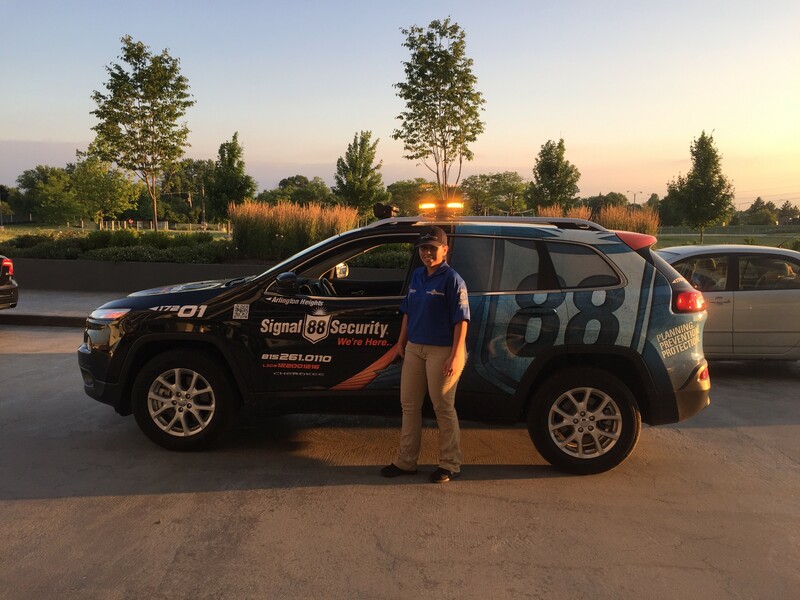 At Signal 88 of York, our industrial security services are backed by 88 Edge® systems, which ensure immediate notification and rapid response to security threats. If you operate an industrial facility in York, PA or a nearby community, our team can deliver the level of protection that your property demands. Industrial security services from Signal 88 of York are available in York, Lancaster, Harrisburg, Carlisle, Shippensburg, Gettysburg, and other local communities. Call (717) 686-9588 today for a detailed industrial security consultation from Signal 88 of York.